Here are the most popular hotspots of Rome by night. Here are the most popular places in Rome by night. You have chosen Rome as the destination of your trip with Dragonfly Tours, and after having feasted your eyes on its wonders, you want a moment of relaxation. Rome by night is full of places where you can spend a fun and carefree evening. So here are our suggestions on the most popular and trendy Roman hotspots. Let’s start from one of the neighborhoods that you will find yourself walking through after your fantastic stroll around the Imperial Forums. We’re talking about the Rione Monti, the district between via Cavour and via Nazionale, the heart of the Suburra; the ancient Roman slums whose alleys once emerged under the Colosseum. Here the art of numerous galleries merges with the pleasant sound of chatter that floats onto the streets from the restaurants. But not just restaurants, in Monti there is really something for all tastes and needs, from cocktail bars to vegetarian cafes, from Roman food to fusion cuisine. It is a very lively and busy neighborhood, the perfect place to breathe in the energy and positive vibes of the city, just behind the amphitheater of the Colosseum. Not far from Piazza Navona, you’ll find one of the busiest places in the capital: Campo de ‘Fiori, the only city square that does not have a church. Its name means field of flowers, and it’s called this because flowers of all kinds once adorned this open space that now, by day, is a market popular among well-known Romans, and in the evening is the beating heart of Roman nightlife that gathers under the statue of Giordano Bruno. The square serves as a meeting place for everyone, Italians and not, given its central position and its very varied culinary offerings. This noisy and lively stage for the livelier youths is a place not to be missed, even just to reenergize from your long walks between one monument and another. 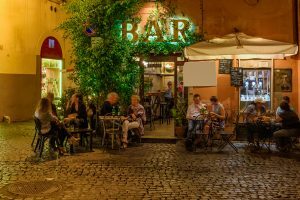 The place of Roman nightlife that you cannot miss is undoubtedly Trastevere, both for its size and its appeal. A traditional working-class neighborhood par excellence, within walking distance of all the tourist attractions of the capital, it oozes charm at all hours of the day and night. 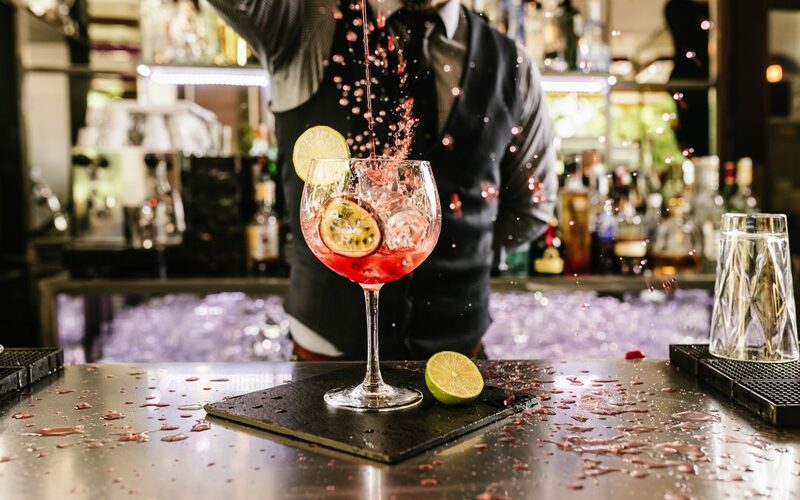 It is here that you can really feel the authentic Rome in its cobblestone alleys and while you’re here, why not dive headlong into one of the many Roman taverns and trattorias where you can savor the truly traditional dishes. 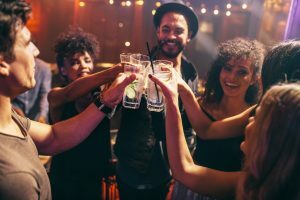 If you are looking for a nice atmosphere in the winter months there are many clubs, such as the Alcazar Live, that will warmly welcome you, where you can sip a good drink and listen to live international music. If instead, you are in Rome in the summer, Lungotevere is the place to be, and along the banks of the Tiber river, the Roman summer night comes to life. There is something for everyone, food, entertainment, and an area set up as an outdoor cinema. And then there is the breath-taking view of the city lights reflected in the water. Did we convince you? All you need to do is book your tour of the enchanting Rome of Trastevere.